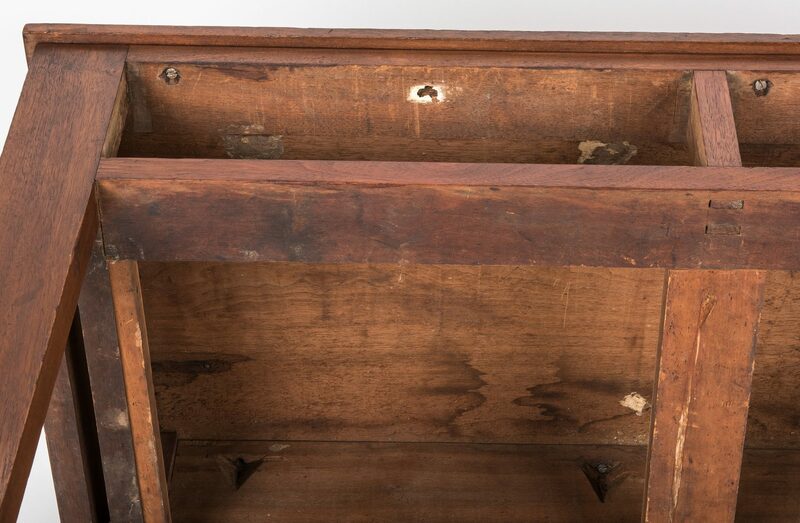 Middle Tennessee vernacular walnut slab or huntboard, poplar secondary. 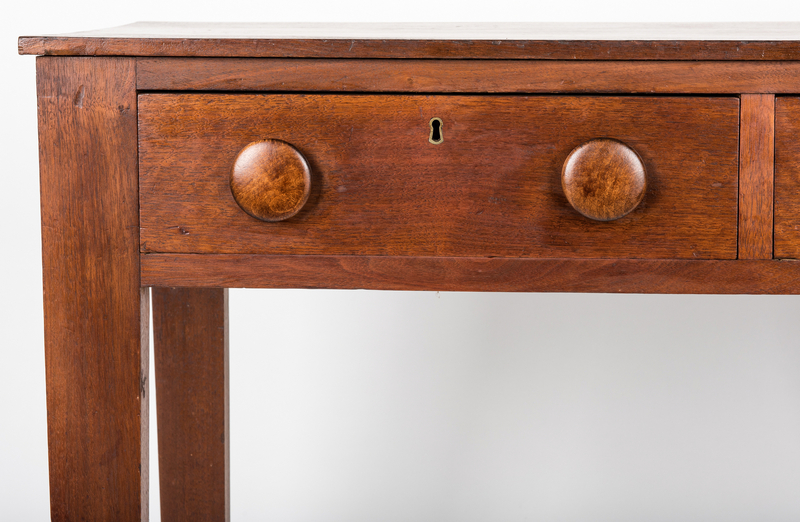 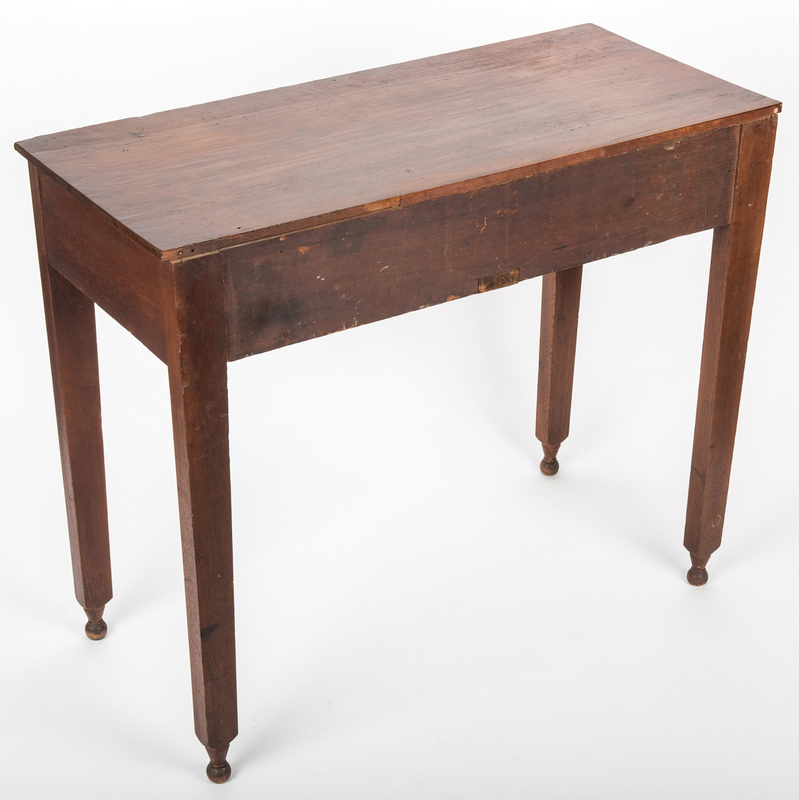 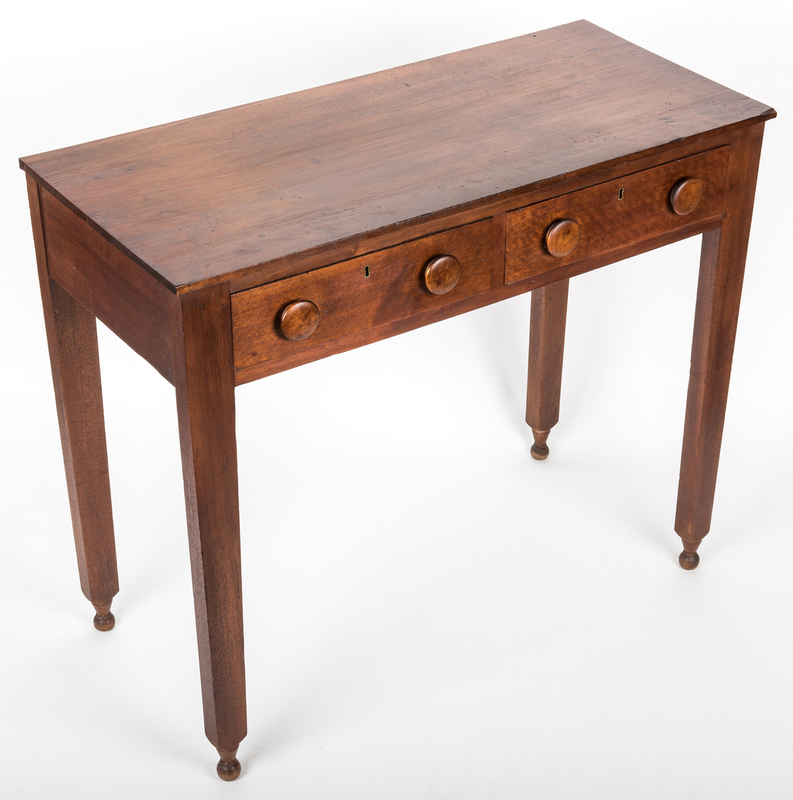 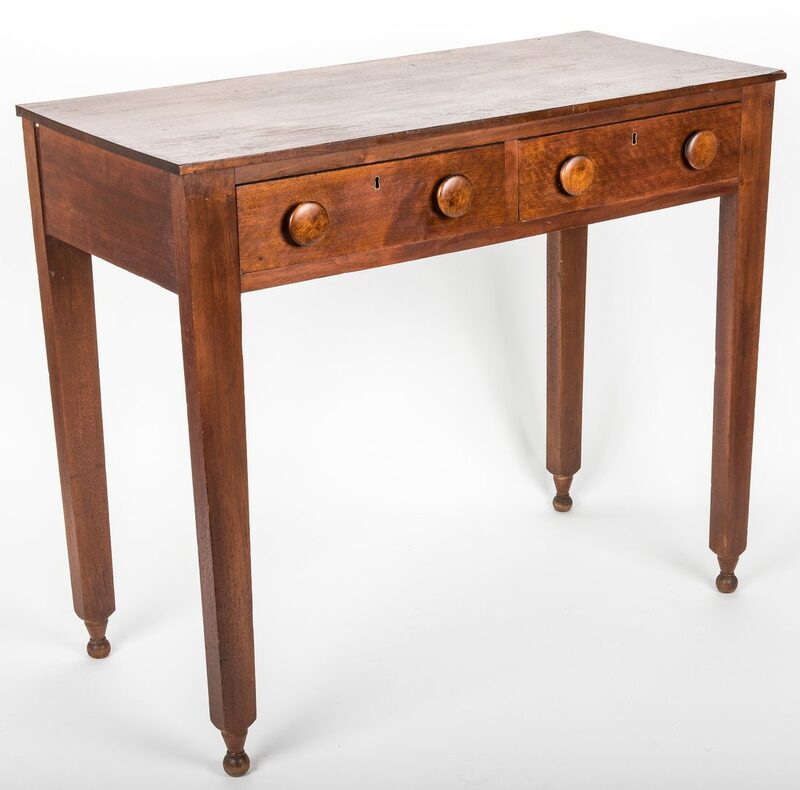 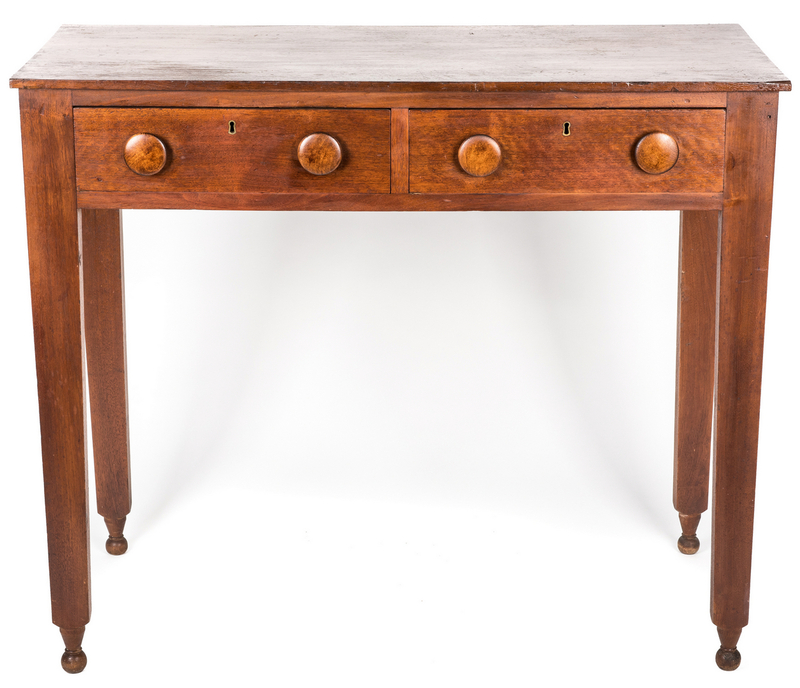 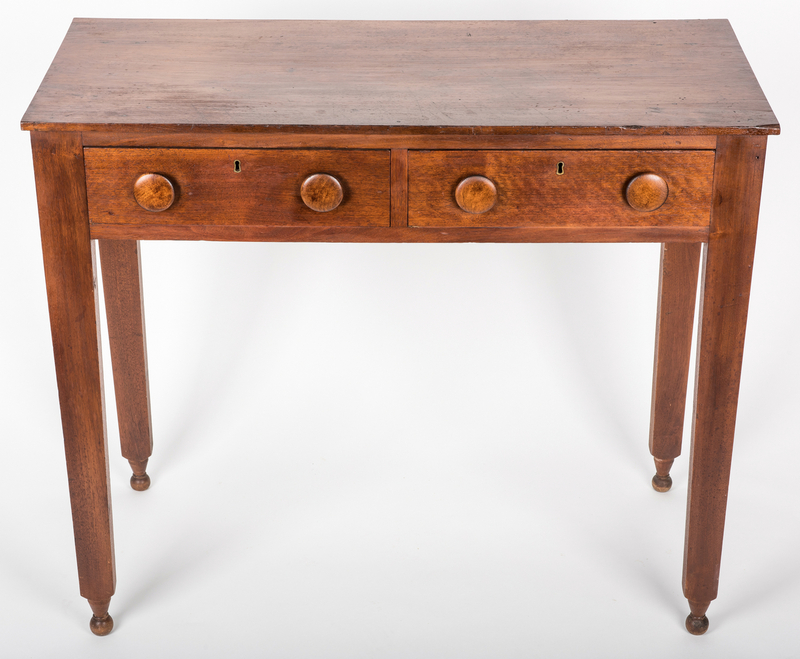 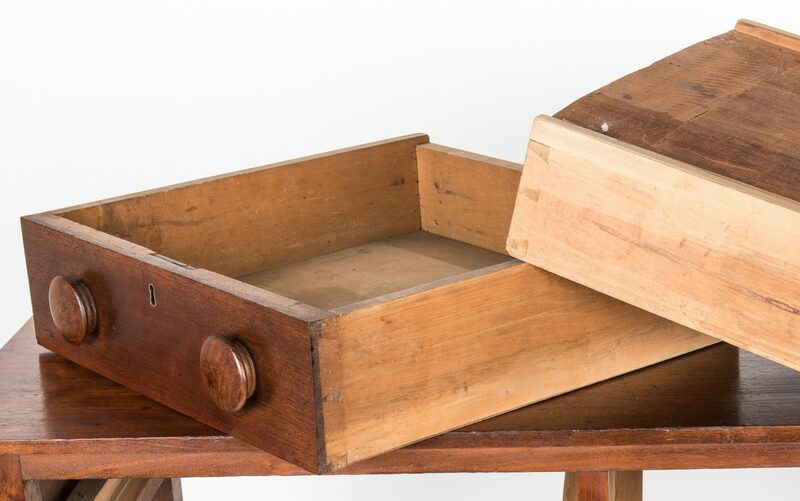 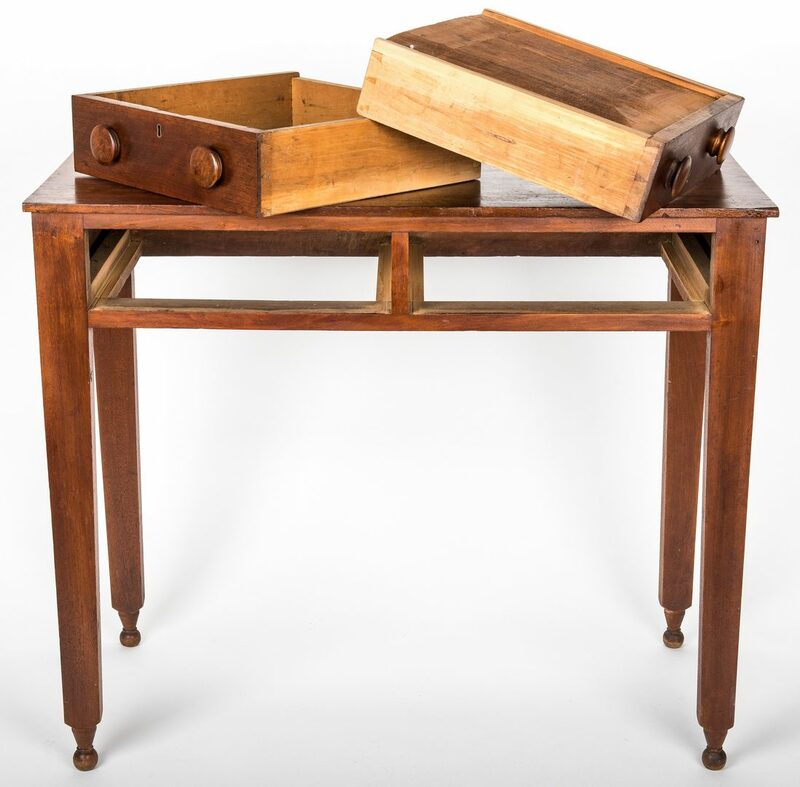 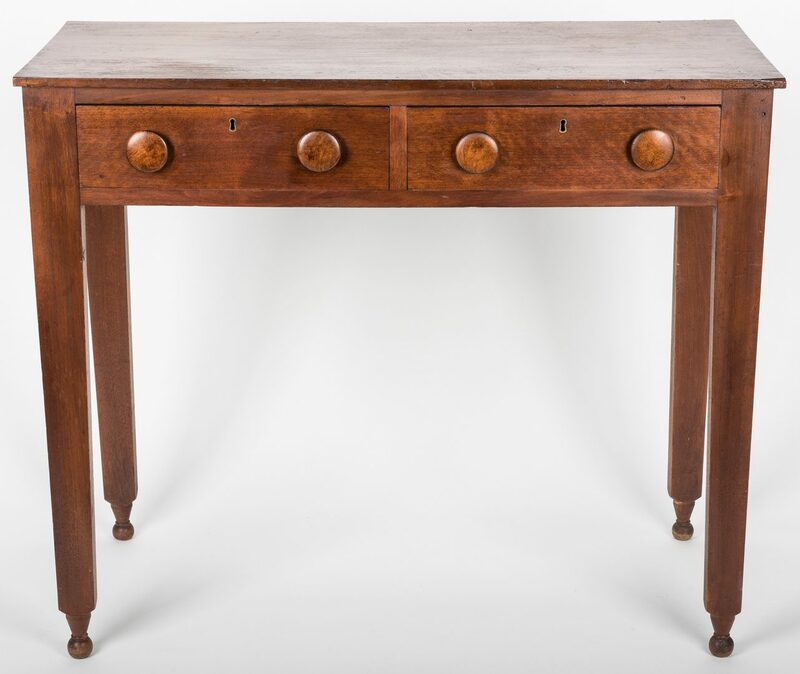 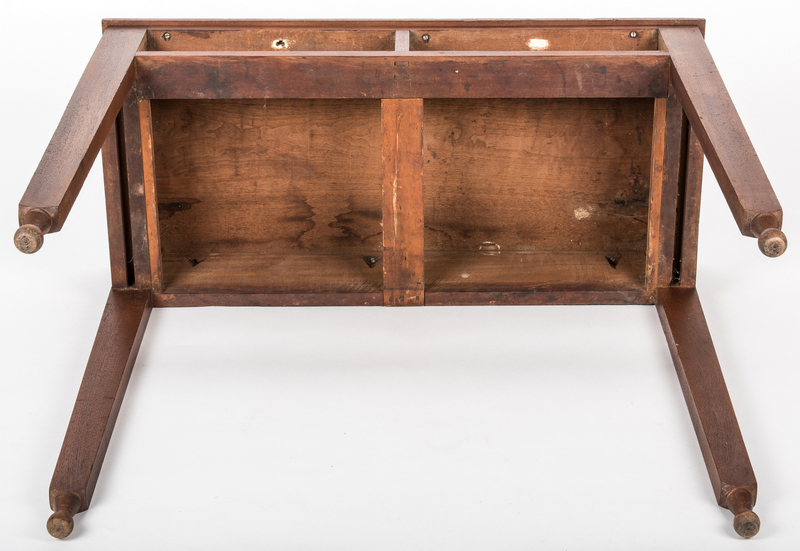 Slight overhanging retangular top over two large dovetailed drawers with large wooden knobs, over tall tapering legs terminating in ball feet. 36 3/4" H x 44 1/4" W x 19 7/8" D. 2nd quarter of the 19th century. 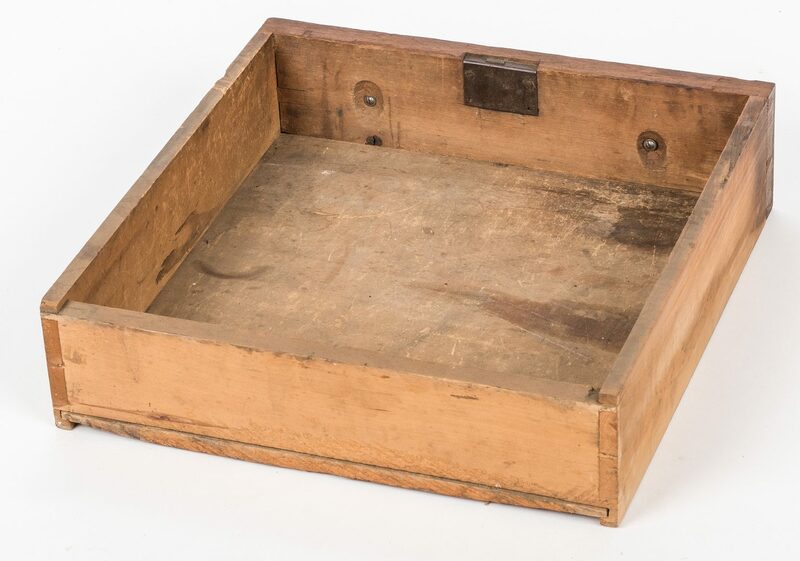 Provenance: The collection of internationally known ragtime pianist and historian Johnny Maddox, Gallatin, TN. 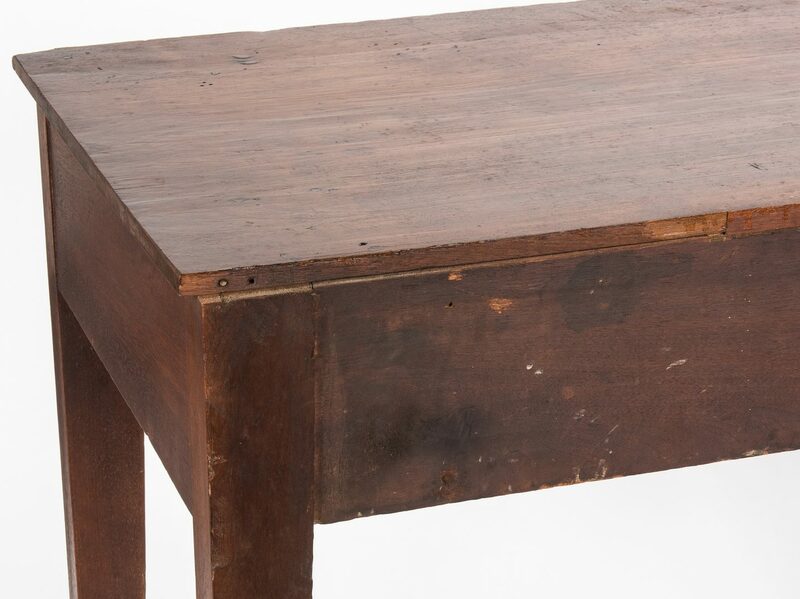 CONDITION: Older surface. Minor abrasions and a few stains to top. 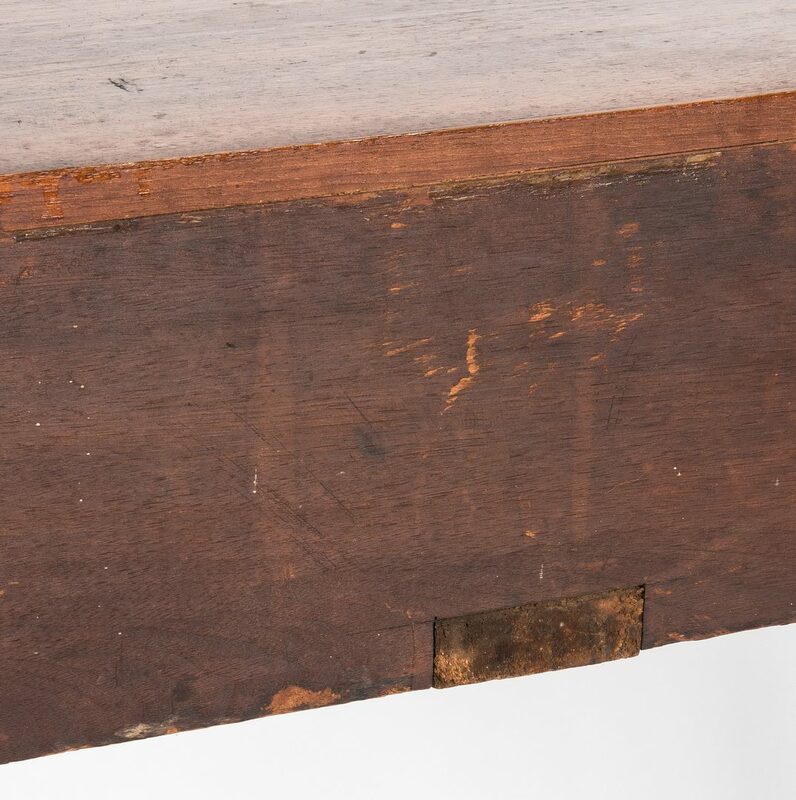 Back edge of top with an old triangular splice with width less than 1/4".